Gold Coast, south of Brisbane, is the sixth largest city in Australia with a population of around half a million and welcomes close to 12 million visitors each year. Famed for its long sandy beaches and being the “Theme Park Capital” of Australia, tourism is its heart, pumping over AU$4.4 billion annually into the economy. As a premier tourist destination for both domestic and international visitors, there are over 60,000 beds on offer. With a full spectrum, from budget to luxury, hostel to five star accommodation, there are plenty of choice and competition. Peppers Soul Surface Paradise is one of the popular luxury five-star serviced apartments in the heart of Gold Coast, and right on the door steps of Surface Paradise. 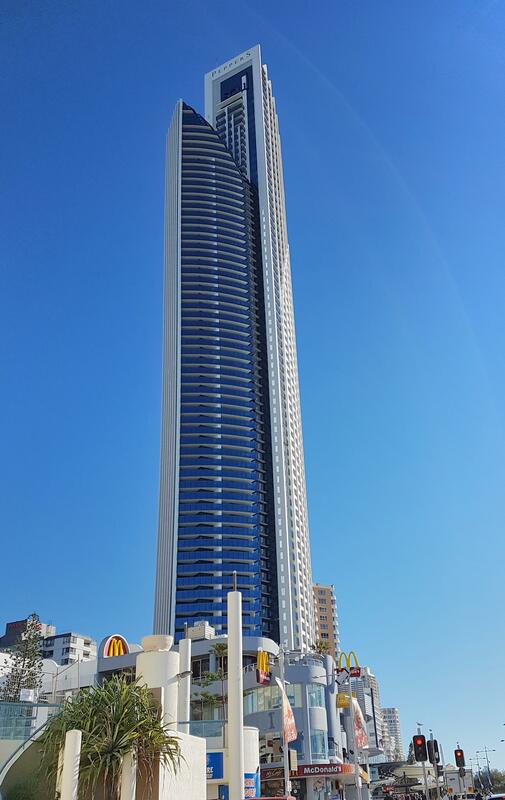 At 243m tall, Soul is the second tallest building on the Gold Coast completed in late 2012 at a cost of AU$850 million. 288 apartments are spread across 77 levels, accompanied by a 5,700 m² retail podium. The developer, Juniper Group, got into a bit of financial trouble in 2012 and Soul was placed into receivership. Mantra Group, owner and operator of Peppers, bought the management rights from the receiver in 2013 and have successfully crafted Soul’s reputation as a world-class luxury accommodation of choice. Entry to this Gold Coast icon is directly off the Esplanade (near the corner of Cavill Avenue), where you are immediately greeted by an immaculately presented double height foyer filled with natural light. Custom art pieces are featured throughout the property, adding to its sense of sophistication. The actual hotel reception is on level one, and whilst somewhat busy, it wasn’t long before check in was done. To the right of reception, a cozy resident’s lounge featured and to the left was Soul’s onsite two-hatted restaurant Seaduction (more on that later). 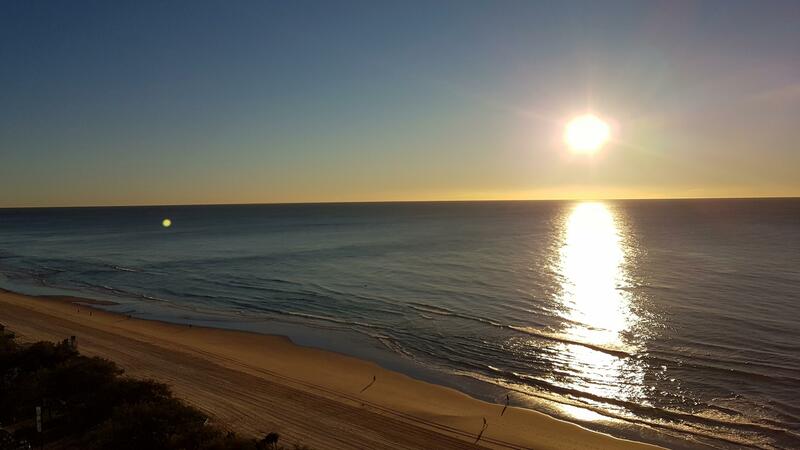 Visiting with a group of friends and three toddlers, we stayed in a 3 bedroom, 2 bathroom ocean view apartment, which as its name suggests, offered expansive panoramic views of the stunning Surfers Paradise through its floor-to-ceiling windows and balcony. Having 3 kids around meant I didn’t get much time to take photos of the apartment so you’ll have to take my word that it was spacious, and certainly comfortable to stay in. The large kitchen was well equipped, more than sufficient to cook up a delicious meal, and the laundry will definitely be handy for those staying longer. Soul offers not one, but two heated 25m pools – an indoor and outdoor – as well as sauna, steam room, spa and a gym. As nice as the facilities looked, the trouble is, with the myriad of activities and attractions to visit outside, we didn’t get time to use any of it. As a result, I didn’t really enjoy the food, nor the restaurant, and will probably never return (to Seaduction). Being only a 3 day trip, we didn’t have too much time so we spent half a day at Movie World and a day at Sea World. For anyone with young kids under two, I’d recommend Sea World over Movie World, simply because there are a bit more age-friendly things to see and do. The shows at Movie World like the Hollywood Stunt Driver didn’t capture the kids attention as much as the Fish Detectives Sea Lion Presentation or Dora’s Best Friends Adventure Show. Nonetheless, both Theme Parks were enjoyable for the adults and kids. Compared to the Hilton Surfers Paradise, just behind Soul, where we stayed on our last visit, Soul was an excellent choice considering its luxury accommodation and faultless convenient location. If only we had a better experience at Seaduction, I’d give it a definite return.